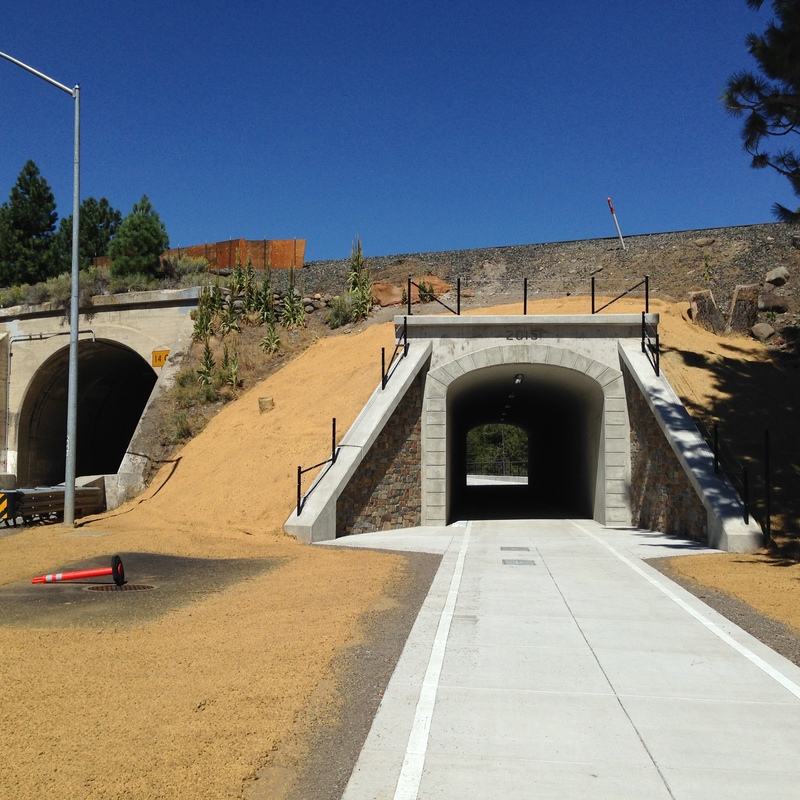 It took many years of planning, and sometimes it seemed almost as long to construct, but Truckee’s Mini Mousehole is now open and available for pedestrian and bike traffic. What is the Mini Mousehole? If you are driving north from Tahoe City on Highway 89, just before reaching Truckee, the road passes through a tunnel underneath the railroad that has become known as the mousehole because it is so narrow. It was quite dangerous for bikers and walkers, and it wasn’t too fun for drivers either, who had to hope they didn’t accidentally clip a pedestrian in the tunnel. The solution: The Mini Mousehole. The Mini Mousehole now makes it safer to ride along Highway 89 from Tahoe City to Donner Pass Road near the Safeway, and from there, catch the bike lane on Donner Pass Road to Donner Lake, Donner Summit and Cisco Grove if you are so inclined (or so crazy strong). West River Street is currently being widened and repaved with the much needed addition of a bike lane. This will now allow a Glenshire rider to catch the Truckee River Legacy Trail to first East River and then West River Street. From there you can ride towards Highway 89 without the trepidation of the past, when West River was too narrow and busy for comfort. Now that the crowds of summer are disappearing, it is a great time to get out on your bike and try out the new biking opportunities of Truckee. I know I will soon be grunting my way up Donner Pass to enjoy the view from the Rainbow Bridge.